As some of you know this year I am teaching Kindergarten.I have NEVER taught Kindergarten before so this will be great learning for me. I am lucky enough to have a wonderful Early Childhood Education working in the classroom with me, and she knows more than I do at this stage about Kindergarten. As any good teacher does, I went in at the end of June to see my new classroom, of course I was expecting it to be beautiful, light, and inviting. Well, it was not, it was dark with lots of old wood, minty green walls, and not enough space for kindergarten children to play in. I admit, I really wanted to turn around and go back to my old school where I knew the classrooms were HUGE. So last week I spent almost every moment I could in my new classroom. I enlisted the help of my husband, mom and any other teacher who wanted to give me advice. 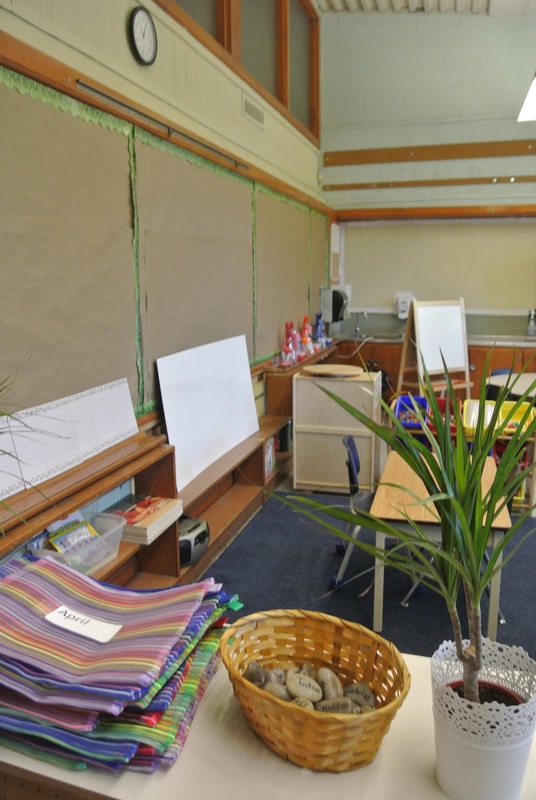 The new Kindergarten philosophy is to use the Reggio Emilia approach. What is this you ask? "The aim of this approach is teaching how to make students useful in everyday life. The program is based on the principles of respect, responsibility, and community through exploration and discovery in a supportive and enriching environment based on the interests of the children through a self-guided curriculum." 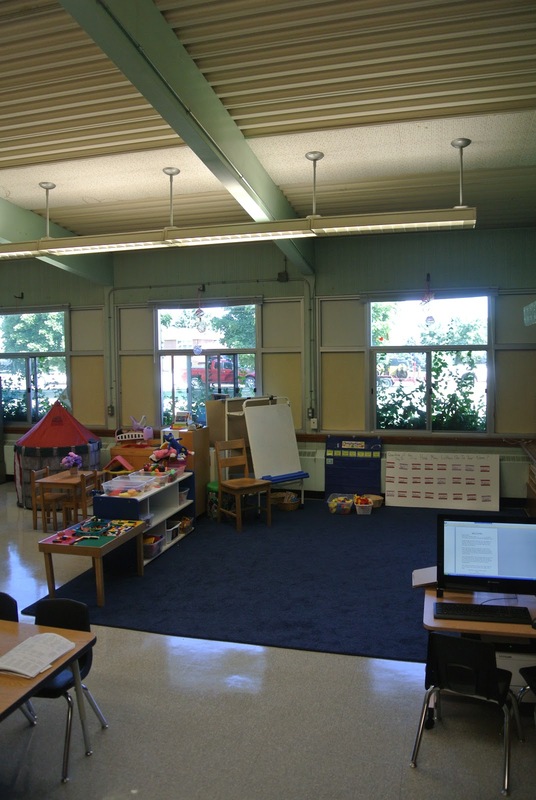 My first step in changing the classroom was to create a neutral home-like environment that is not over stimulating for children. There needs to be plants, and furniture items that remind children of home. So after a week of decorating and planing I still have more to do. The dollar store is my best friend lately, as well as, Pinterest, a Kindergarten Facebook group, and most important the incredible teachers I know that are working in Kindergarten too. I think them all for their help! SO let's all welcome our students this week with open arms, and tell them we love them! Have a look at my classroom below, I am so proud of this room.